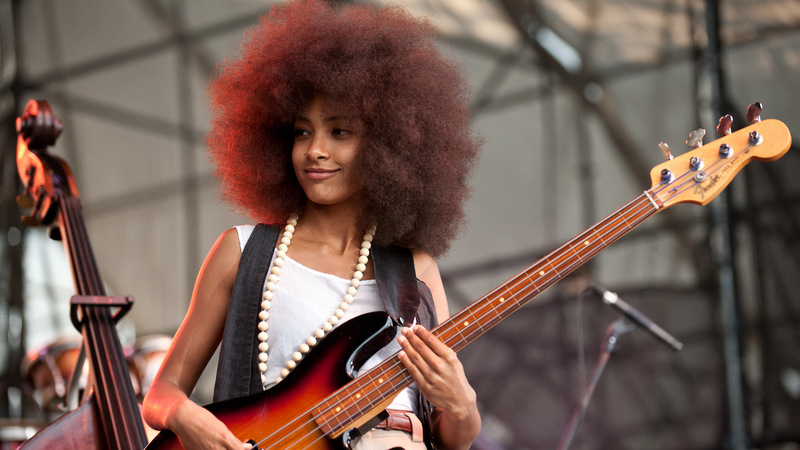 Vocalist, bassist and composer Esperanza Spalding has announced that her new project, 12 Little Spells, will see her release a new piece of music on her website every day from October 7 until 12. A complete EP of the same name and comprising each of the 12 pieces will then be released on October 19 on all streaming platforms. The announcement for this project comes a year after her last album, Exposure, which she composed from scratch in just 77 hours during a Big Brother-style live stream via Facebook Live from NRG Recording Studios in Hollywood, California. That project also included such artists as pianist Robert Glasper, vocalist Lalah Hathaway, drummer Justin Tyson and vocalist-violinist Andrew Bird, among others. Spalding wrote much of 12 Little Spells in an Italian castle and recently completed it in Brooklyn. She explains that the music for this project explores the body, human energy and healing. Each track, which she refers to as a “spell,” will correlate to a specific energy or body part, and will be accompanied with imagery and short films on her website. For 12 Little Spells, Spalding collaborated with visual artist Carmen Daneshmandi, theater director Elkhannah Pulitzer, wardrobe specialist Diego Montoya and video artist Ethan Samuel Young. Each of these artists offered their contribution to the project based solely on its title and the title of each of the “spells,” and without hearing the actual music.